For thousands of years, stone has been the building material of choice to create structures that endure for generations. Our artisans continue in that tradition to bring you Old World Flagstone, a selection of premium natural stone products, quarried and processed to the highest standards. 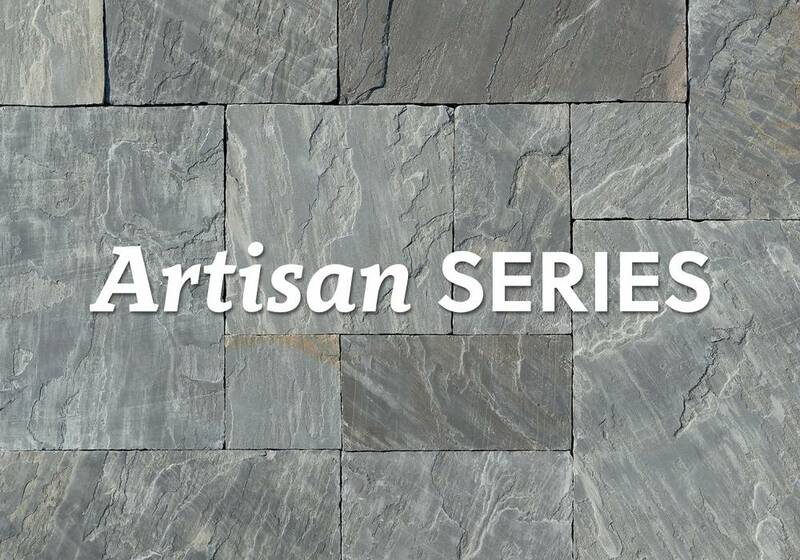 Products in our Artisan Series feature natural cleft tops and hand-cut rockfaced edges, capturing the essence of a traditional natural flagstone patio or walkway. They have calibrated bottoms for consistent thickness from piece to piece. They are the ideal blend of quality, durability, and affordability. 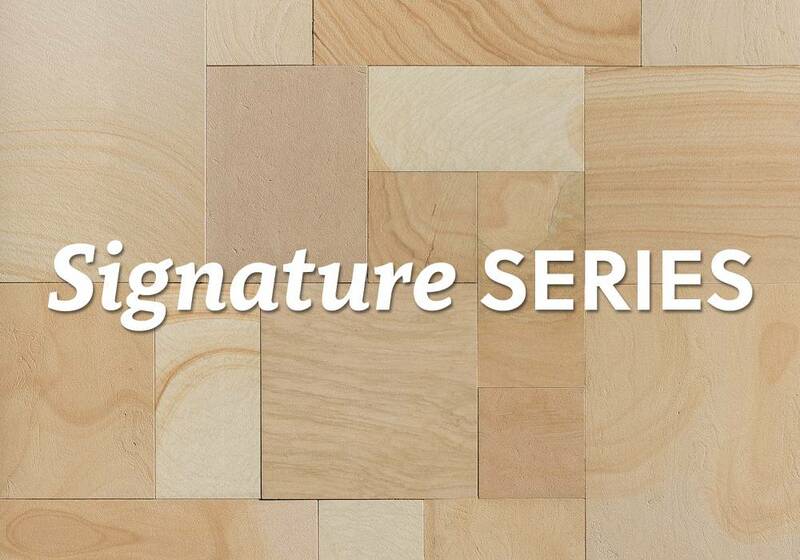 Products in our Signature Series feature sawn tops with a luxurious lightly textured finish. 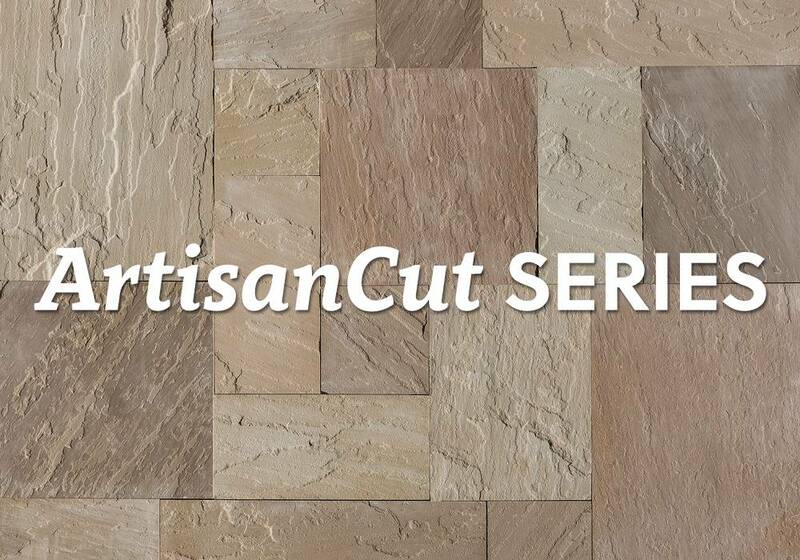 Some products in our Signature Series feature sawn edges, and some feature hand-cut rockfaced edges. They have sawn bottoms for consistent thickness and easy installation. 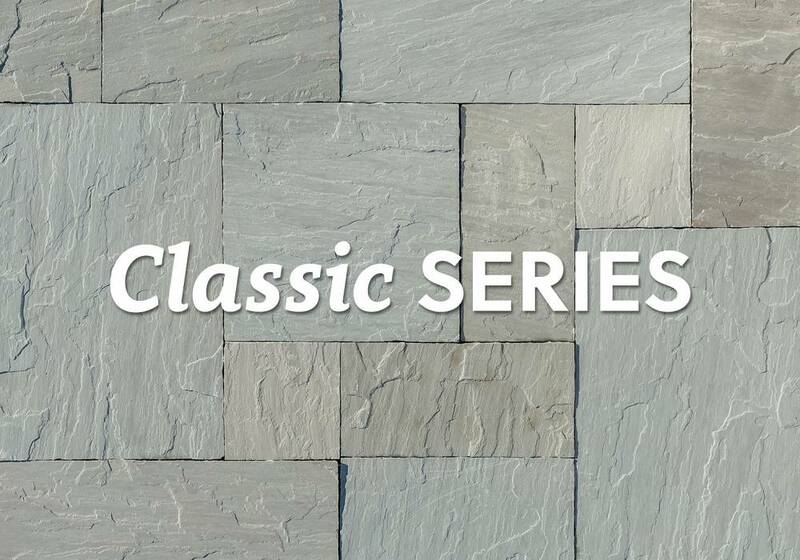 Products in our Classic Series feature natural cleft tops, hand-cut rockfaced edges, and hand-split bottoms. Classic Series products are minimally processed for the lowest possible cost, making them an excellent choice when project budget is a concern. 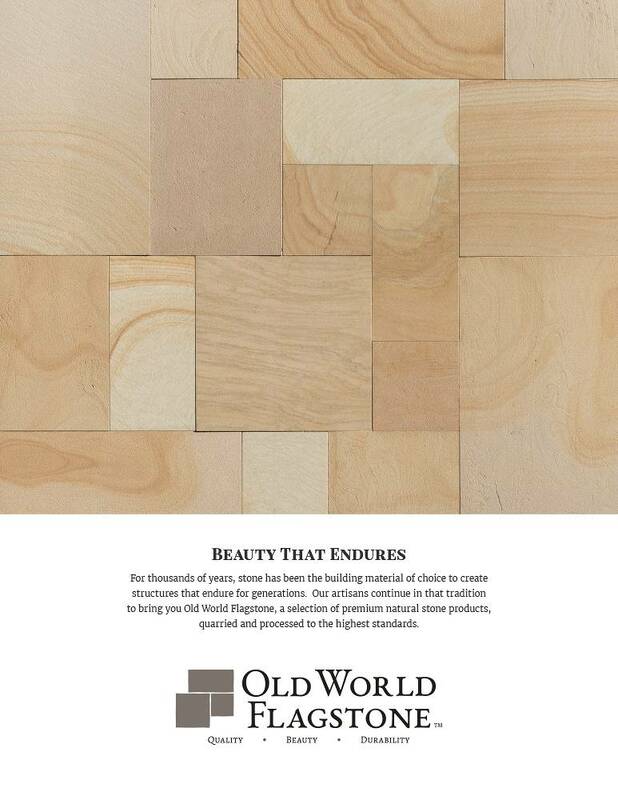 Click the brochure image or the button below to download a PDF copy of our Old World Flagstone Brochure. You can save a copy of the brochure to your computer to view later. Printed copies are also available upon request. Under normal conditions, Old World Flagstone does not need to be sealed to maintain durability. If you wish to use a sealer on Old World Flagstone, please consult the sealer manufacturer to confirm that it is suitable for use with natural sandstone and limestone. For more information about Old World Flagstone products and answers to common questions, visit our FAQs page. We recommend reviewing the FAQs before beginning any Old World Flagstone project. Feel free to contact us if you have any questions that are not answered on the FAQs page. Looking for Natural Stone Veneer? If you are looking for natural stone veneer products, visit the website for our sister brand, Old World Stone Veneer. Click the button below to visit the website.